Beijing, China, 1 September 2016 – Shenzhen Skyworth Digital Technology Co. LTD. (000810.SZ), a leading set-top box and smart home solutions provider, today unveiled the miniStation – the OTT gaming console that is the result of its successful partnership with Internet value-added services provider Tencent Holdings Limited. 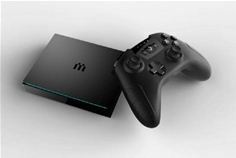 miniStation – an innovative TV game console based on the Android Operating System – offers hundreds of games from top game studios such as Tencent and Gameloft to consumers via their TVs. Unlike traditional game consoles, the miniStation can be controlled either by traditional game controllers or by mobile phones. Up to eight devices can access the miniStation at the same time, making it a truly compelling multi-user gaming platform. The pioneering device was launched in response to the around 170M subscribers Tencent has to its mobile phone games and addresses the need for an improved audio and visual experience in this market. The miniStation also offers OTT service, allowing users to be connected to their TV screens anywhere and at any time, meeting the growing demand for TV Everywhere technology. The miniStation – which received the BlackGold Award at the ChinaJoy game show last month – will be demoed at IBC 2016 as part of Skyworth Digital’s vision for the digital home of the future. The showcase will highlight how tomorrow’s trends can be integrated and packaged for end-users in the future. Delegates attending IBC 2016 can view the miniStation demo and find out more at Skyworth Digital’s booth – Stand 5.B61.